The article submitted is an original work and has neither been published in any other peer-reviewed journals nor is under consideration for publication by any other journals. Moreover, the article does not contravene any existing copyright or any other third party rights. I am/we are the sole author(s) of the article and maintain the authority to enter into this agreement and the granting of rights to ERES Publications does not infringe any clause of this agreement. The paper needs to contain a title, an abstract, keywords, a main body and references. All references should be cited. Format should be followed for reference, citation and tables. Font style: Calibri in 11 pt size. Figures and tables should follow the references. Make sure that every table or figure is referred in the text. The table or figure will be placed after the first mention in the text, Illustrations if provided, should be clear and in JPEG format. All articles should be error free to the maximum extent possible and any technical matter must be as clear as possible. The author must provide: Name, job title, Organization/institution of affiliation name, a brief biographical description, a photograph in JPEG format. In case of more than one author, the corresponding authors' full details including email, fax, phone and address for Communication need to be provided. 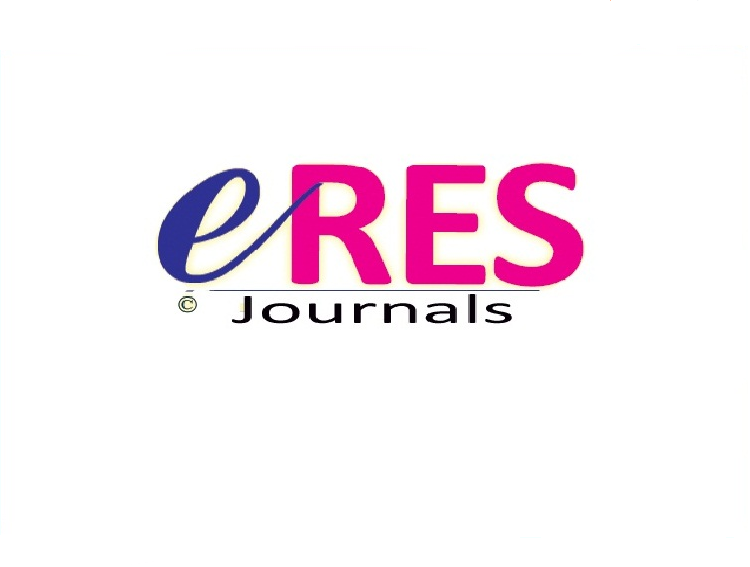 Submissions have to be sent electronically, in MS Word format: You can submit your papers in the online portal http://www.eresjournals.org/ojs/ alternatively you can send it via email to the Issue Editor at submit@eresjournals.org. We look forward to receiving your articles/research papers.